I belong to a church with different locations all over the world. Convenient in its own right is the quad-annually print-published form of a list of these chapels worldwide, but sometimes the information would be incorrect. My wife & I maintained a spreadsheet of different chapels we visited, & shared the information with family who needed it. Locale Maps was born with this in mind: I created a mashup with Google Maps to plot these addresses on a map so fellow church members didn’t have to play phone/email/message tag with each other to find this information. Although Google Maps & Spreadsheet were Google products, this mashup required a third outside service to serve the maps for these first builds. This could possibly be achieved with someone with some intermediate development background, but coding is not (yet) one of my stronger suits. The map service would choke at the volume of points it needed to plot, so I had to group them into manageable numbers, splitting them into regions (US West, US Midwest, Australia, etc.). I would have avoided this if I could, as it provided a burden — one or two more clicks — for the user. 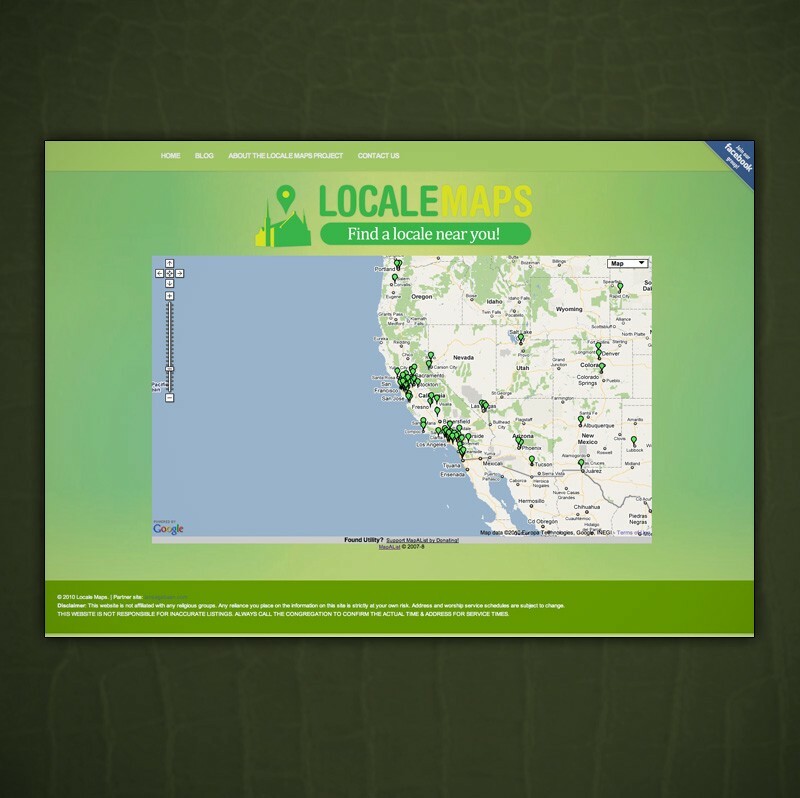 I wanted to focus mainly on the map as the main feature of this tool, so naturally, I would want the iframe to fill the whole screen. 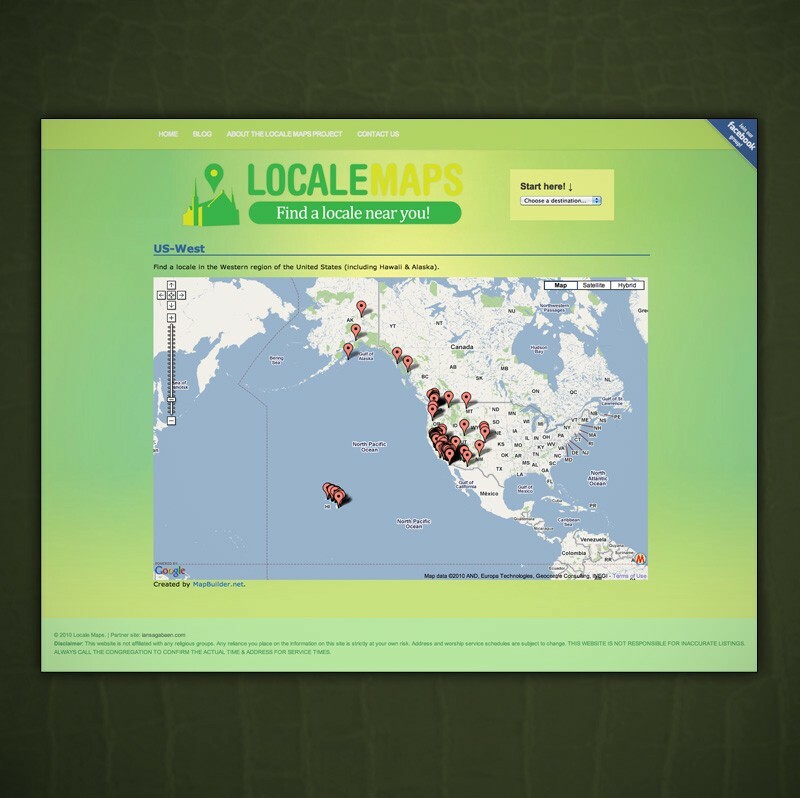 These map mashup tools provided an iframe link, but since you can’t alter its contents, it was hard to manipulate the iframe to resize. I finally found a new service that worked directly with my existing Google Spreadsheet called Map A List. It handled the volume of map points a bit better than Map Builder, so I could finally get rid of the region select dropdown. Eventually, I figured out how to scale that iframe to fill the browser window. I needed some space, however, to attach the branding & the necessary links, but didn’t need more than 80px of the top of the page. I’ve become much more happy with this solution, which actually serves as my backup page in case the live page goes down. I realized that I couldn’t build this exactly to my liking by myself. I’ve reached out to a few Craiglist developers, hired them, & worked with them remotely to help me realize my visions. My developer highly recommended (amongst other developers) to migrate all of my Spreadsheet data over to a more stable MySQL database. To celebrate the new site, I designed a new new look & logo, as well as added some of the features I’ve been wanting, namely the search function. 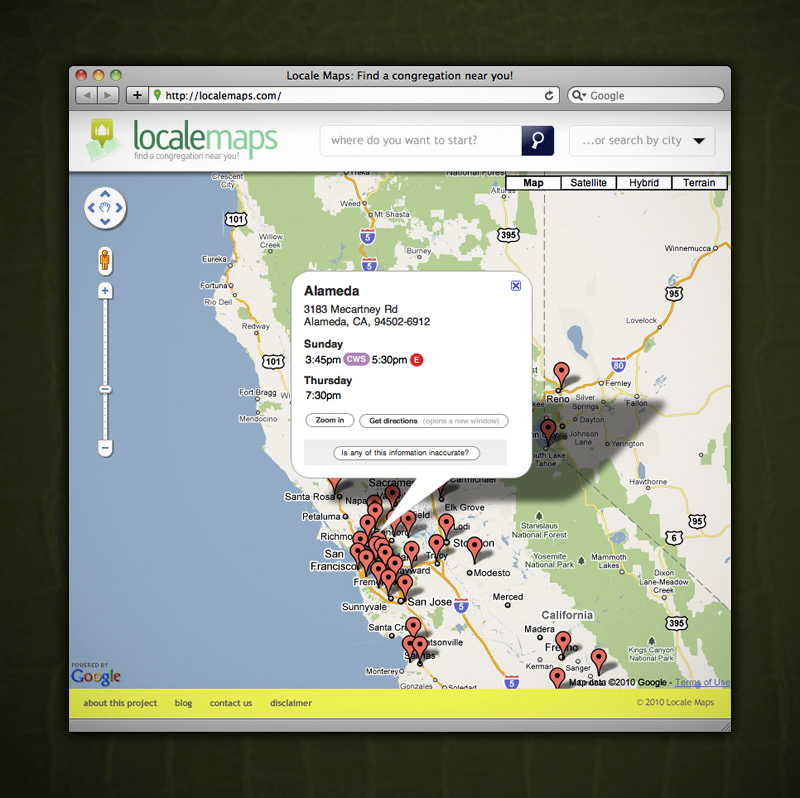 What’s in the future for Locale Maps? Likely, a mobile version of the site, but it depends on what the audience decides.